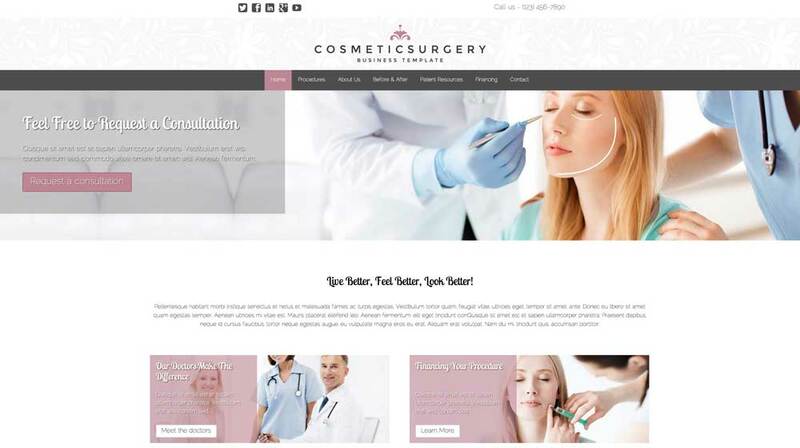 The Cosmetic Surgery WordPress theme is designed to help you quickly build a comprehensive website for your plastic surgery clinic, complete with before and after photo galleries and downloadable forms and brochures. Everything you need is set up and waiting for your own text and images. Visitors who are curious about cosmetic procedures will appreciate learning about your plastic surgery clinic through an inviting and informative website. With the Cosmetic Surgery WordPress theme, we've already done all the research into what makes a great website for plastic surgeons and set it all up so all you need to do is fill in your own text and photos. Here you'll find pages for before-and-after image galleries, detailed descriptions of common procedures, and information about financing. On the Patient Resources page, list answers to your most frequently asked questions and provide links to PDF forms or brochures that patients can download and print. The built-in consultation request form can be customized to suit your needs, and client information submitted through the form is easily viewed with our convenient downloadable overview. 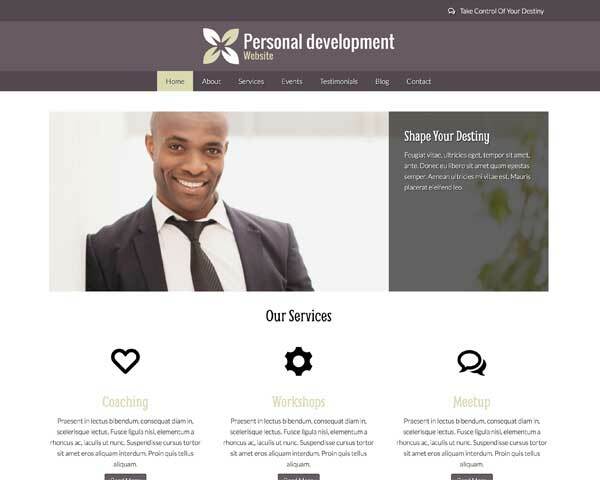 This premium WP template includes helpful business features like integrated social media and an SEO manager to help you achieve higher search engine rankings. 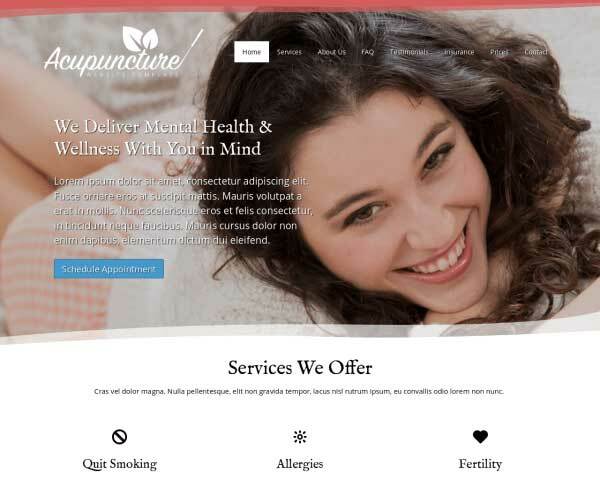 The Cosmetic Surgery WordPress theme makes it manageable and affordable to beautifully present your clinic online so you can reach a whole new client base and help more people look and feel their best. 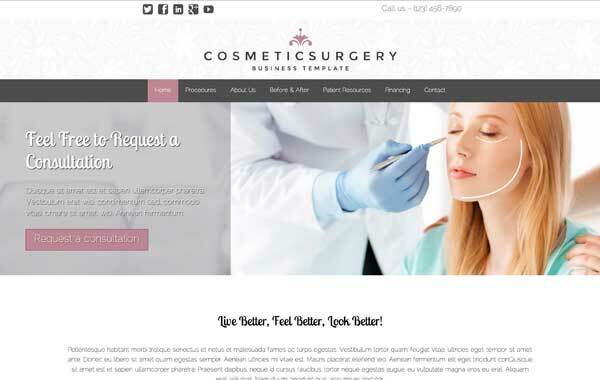 The Cosmetic Surgery WordPress Theme was made specifically for the wants and needs of plastic surgeons. We've made sure it has the necessary features to boost your bottom line instead of being some generic template. Each page of the Cosmetic Surgery WordPress Theme features eye-catching calls to action that encourage visitors to take the next step and get in touch. 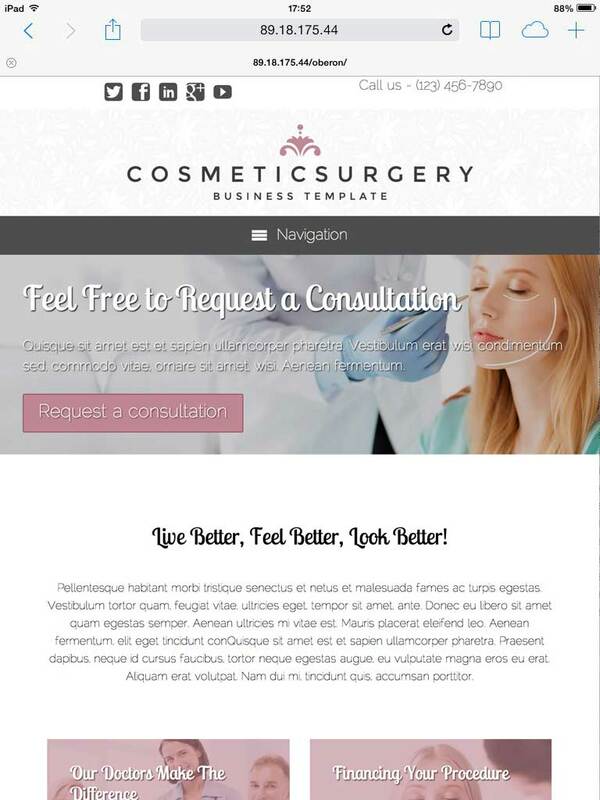 The contact page represents the Cosmetic Surgery WordPress Theme at its finest. 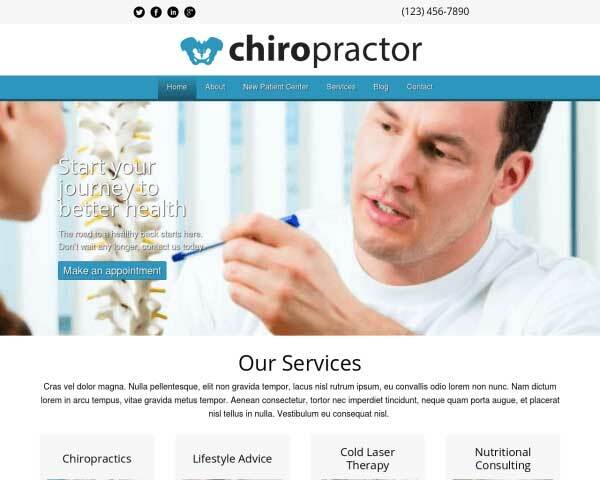 The page is very inviting and gives your customers multiple avenues to reach you. The cost of cosmetic surgery is a concern for most patients. 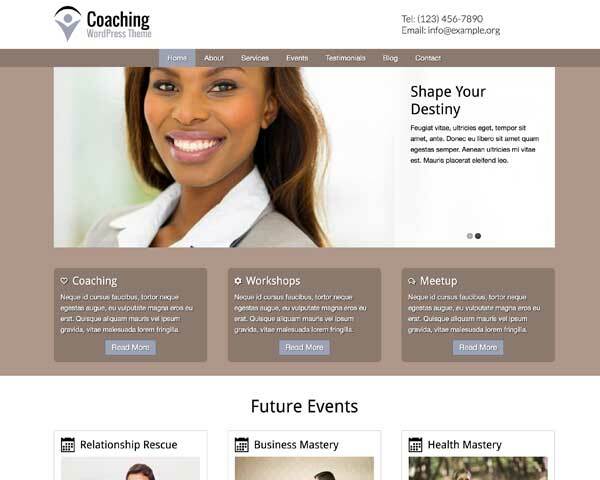 Provide important information about financing options on the dedicated page of this web template for plastic surgery clinics. 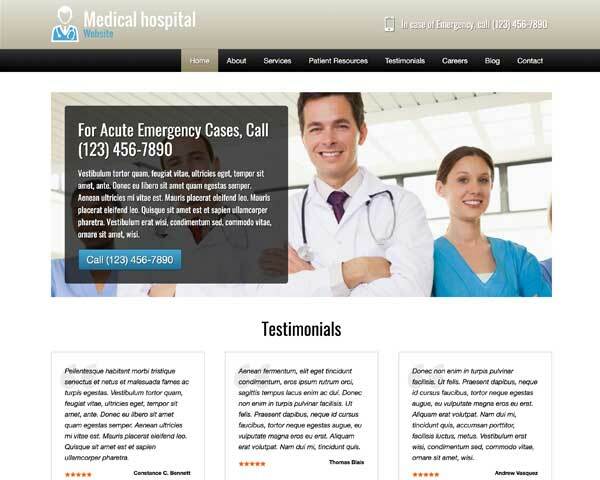 This premium WordPress theme for medical centers allows you to link buttons or images to PDF pages that visitors can simply click to download and print forms. 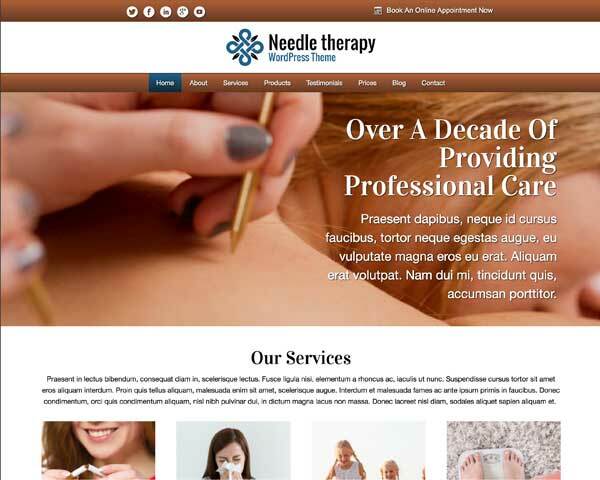 This premium Cosmetic Surgery WordPress Theme features a neat, clean design that can handle all the information and features you'll need in a professional website. 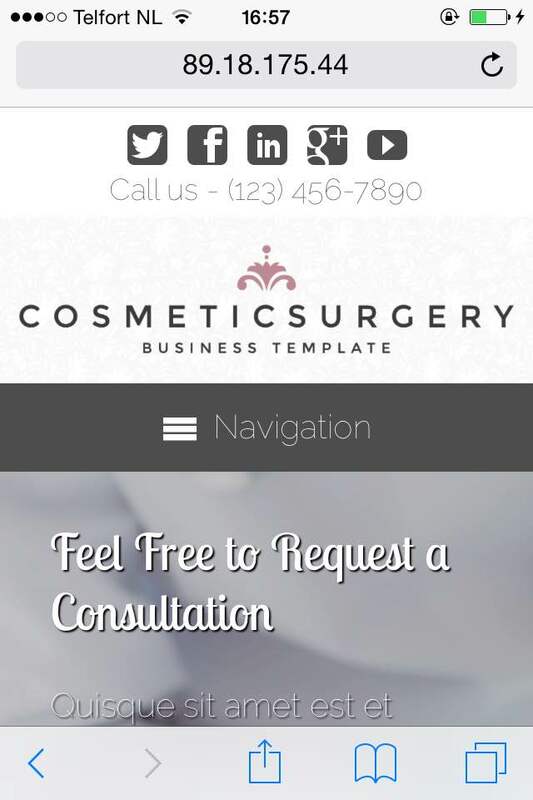 The Cosmetic Surgery WordPress Theme comes with a built-in booking form, allowing you to take appointments online even outside of business hours. 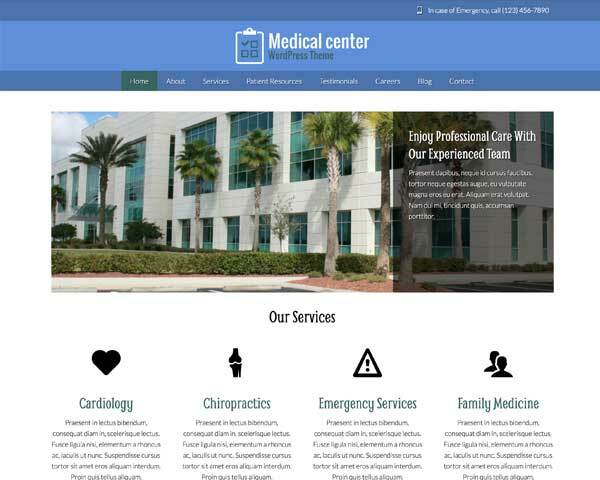 This WordPress theme for medical centers comes packaged with social media options like sharing and following icons for popular platforms and widgets that display a Twitter feed or Facebook like wall. Trust is probably one of the most important factors for a medical center. Gaining trust can be achieved with the help of the team overview page. 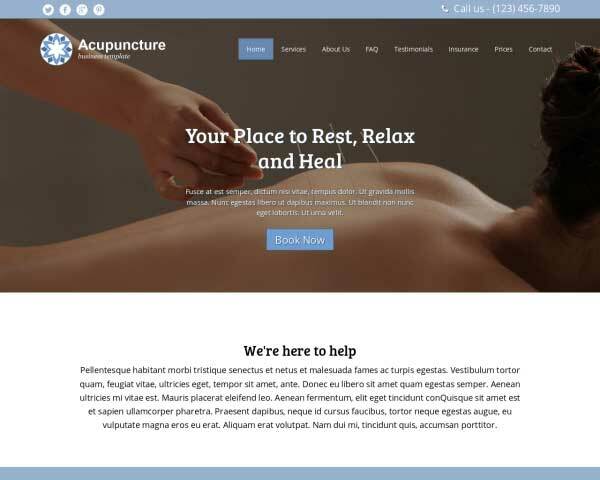 The clean, professional design and user-friendly functionality of your new website will extend to the mobile version when you start with this responsive Cosmetic Surgery WordPress theme. Mobile optimized for all handheld devices, this premium website template will automatically adjust your content to render beautifully on any screen size. Add new content and update your photo galleries with confidence knowing that your pages will always look great even when viewed on smartphones and tablets.